Most Canadians will soon be able to grow their own cannabis legally for the first time – but the time commitment and costs involved could come as a surprise to some. The Cannabis Act, which takes effect Oct. 17, will permit each Canadian household to grow up to four plants at once. However, that will be more difficult for Quebec and Manitoba residents, whose governments have moved to ban households from growing recreational pot by including fines in their legislation. “I’m happy for Canadians that they get to grow four plants, but I think they’re up for a bit more of a challenge than they think,” Matt Mernagh, who teaches a course on how to grow your own pot at Hotbox Homegrown Hydroponics, a grow shop in Toronto, said in a telephone interview with BNN Bloomberg. Mernagh, a long-time grower who was granted a court-ordered exemption in 2013 that allowed him to produce his own medical cannabis, said the time requirement and costs are among the most important considerations for new growers. And while the upfront expenses may seem high, Mernagh notes growing at home could help regular cannabis consumers save money in the long term, especially if they consume it for medicinal purposes. “I encourage my students to create a budget based on how much cannabis they plan to buy,” Mernagh said, noting money-conscious growers can still be successful without some of the recommended gear. While growing cannabis outdoors is an option as well, it can be more challenging in the winter months when temperature becomes more of an issue. Below, BNN Bloomberg breaks down some of the key costs associated with growing your own cannabis indoors. 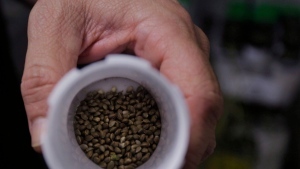 Packs of marijuana seeds will be available for purchase on Oct. 17 in most provinces, but it’s not yet clear what the price point for these products will be once they’re legal. Medical growers can already purchase seeds, with some companies selling them individually anywhere between $10-$20, and packs of five for an average of $60, depending on the strain or where the seeds come from. The website growerschoiceseeds.com, for example, sells packs of five in different varieties in that price range. Grow tents are ideal for those who want to set up a self-contained space for their plants. Mernagh recommends investing in a good tent as they are designed for growing, are easy to assemble, and won’t cause damage to your home. A typical two-by-two foot tent costs around $120 and will generally house two or three plants, while a slightly larger three-by-three foot tent costs around $190 and will have room for about three or four plants. While hydro rates vary across the country, this could end up being one of the biggest expenses for home growers anywhere, as cannabis plants require a lot of light. “Hydro is a big concern,” Mernagh said, noting cannabis requires 18 hours of light per day, followed by six hours of darkness during the vegetative stage. During the flowering stage, plants need to spend 12 hours under light, followed by 12 hours in the dark. Mernagh recommends keeping on top of peak hydro hours in your area in order to minimize costs. 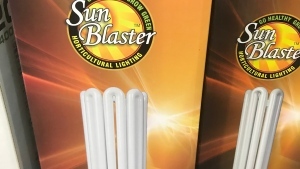 On the cheapest end of the spectrum, growers can use basic compact fluorescent light bulbs for their plants, which will cost anywhere between $50 and $100 for 200 watts, depending on the spectrum. Individual bulbs can also be purchased for less than $20. For those wishing to use a more energy-efficient light source, which could help save on hydro costs in the long-run, a pricier 140-watt LED light can be purchased for around $350. Mernagh recommends professional soil and nutrient mixes specifically designed for growing cannabis, which will contain less contaminants than your typical plant soil and leave less room for error when it comes to creating an ideal pH balance. Depending on the brand, super soil mix can cost between $20-$50. 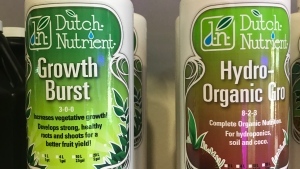 Nutrient kits can also be purchased in the $80-$120 range. While they aren’t a requirement, carbon filters are a good way to clean the air and eliminate the smell that comes with growing marijuana – especially if you are growing in a small condo or apartment. The typical cost of a quality carbon filter and duct fan is around $300. 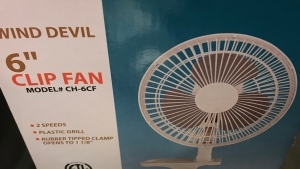 And clip fans, which can be used to keep tents closed and circulate the air inside without taking up floor space, can be found for around $30. Keeping on top of the pH and PPM (parts per million) levels of water and nutrients is important for growing a successful plant, according to Mernagh. You can purchase pH kits for around $20. And single pH and PPM metres can be found for less than $10. Timers are a helpful tools to ensure plants don’t spend too much time in the dark or aren’t overexposed to light. Analogue timers can range anywhere from $10-$15. Digital timers are slightly costlier at $25-35. 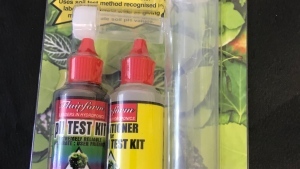 For growers who want to save the trouble of picking up equipment individually, or just don’t know where to start, introductory kits can be purchased at most grow shops or online. 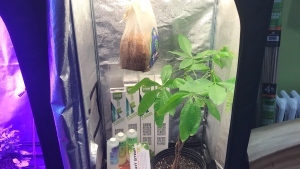 As an example, Hotbox Homegrown sells their cheapest beginner kit for $500, which includes a two-by-two foot tent, a clip fan, nutrients, pH drops, a digital timer, adjustable hangers, CO2 bag, and lights. More complex kits can cost upwards of $1,000. *All prices are estimates and may vary depending on the quality of products and where they are purchased.